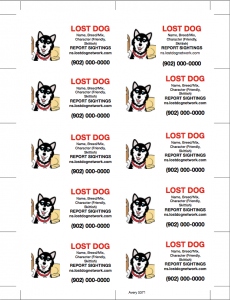 Click on this link: LOSTDOGBusinessCardTemplate10:31:14 it’s a pdf file you can modify yourself – if you have an iPhone you can use a free copy of Pages to modify this easily. Any PDF file should be modifiable on Mac or PC, so let me know if this works for you. Replace the photo and info with a photo of your dog and their details including phone number (this should be your cell phone). 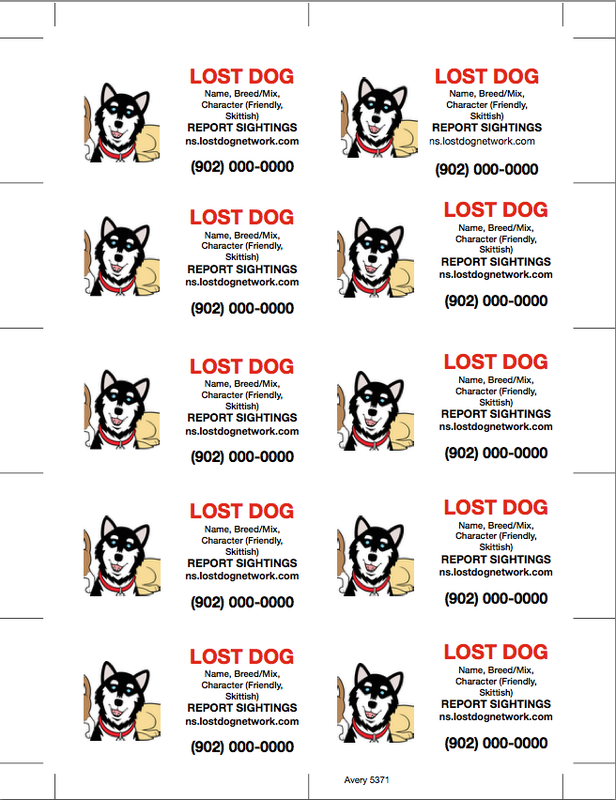 Hand these out to people you stop and ask if they have seen your dog and always keep them on hand or in the car. People are more likely to call in sightings if they have the information in hand.